Blog | What makes a good garage door? The qualities of a good garage door may vary in different places. However, there are general features that help determine if you’ve got the good one for your home. The construction quality and durability are one of the most important factors that help ascertain if you have a good garage door. That’s why choosing the right service provider that will assist you is definitely a tough job. 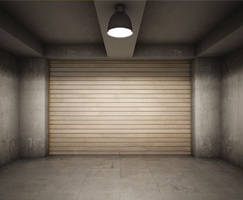 Those who are knowledgeable on garage doors can actually judge your door’s quality and durability just by simply hearing the name of the company that has manufactured it. It is important that you only seek help from the most trusted and experienced professionals rather than make a deal with a cheaper one that will only cost you more because in the end, you have to call somebody to repair it over and over again. The materials used also define the durability of your garage door. Garage Door Repair Murphy lets you choose the materials you prefer the most. There are wood, fiber glasses, vinyl, aluminum, glass, copper, and steel. Deciding which material is best for your home needs plenty of thought considering your home style and the type of weather in your location. For example, if you live in the coastal area, the most preferred material is aluminum since it is a rust-proof material that cannot be damaged easily in comparison to steel. Furthermore, if the style of your house is contemporary, you can use glass material. Meanwhile, you have to take note that this type of material is heavy and expensive among others. When it comes to design, the best choice should be comparatively simple and basic. It looks very elegant and sophisticated. As an addition, simple plain designs never goes out of style, thus sparing you from doing frequent renovations every now and then. Determine these basic standards with your own garage door and evaluate it yourself and ascertain if you need further improvements or not.